Is a Heat Pump in Freeport Sufficient for Winter Weather? Being so close to the beach, we don’t like to think about winter very much. But, it does cool down here in Freeport, TX even if we don’t like to think about it, but many people have a great system for both heating and cooling their homes: a heat pump. However, there can be some concern over whether a heat pump in Freeport, TX is sufficient for winter weather. Where does the concern come from? We’ll explain more below. Great energy efficiency – heat pumps don’t use any fossil fuels and only a small amount of electricity to operate; this makes them very energy efficient. 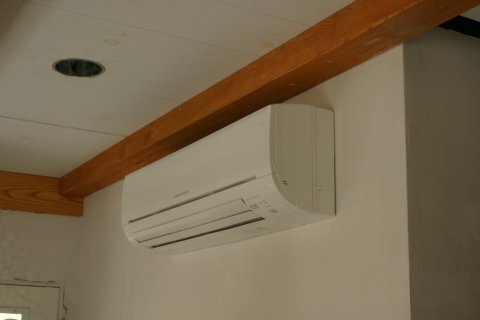 If you use a heat pump with a ductless systems, you get the added energy efficiency of not losing air to faulty ductwork. Comfortable heating – heat pumps blow air into your home continually, but in a low-volume way; this is very different from more traditional forced-air systems where the air can sometimes feel like a hot blast. Very versatile – heat pumps can be used with ducted systems, ductless systems and geothermal systems. Long lifespan – heat pumps have an average lifespan of 20-25 years versus combustion heating systems, which have an average lifespan of 15-20 years. Heating with a Minisplit Heat Pump.